The adventure begins when the princess gives Twilight the task of learning about friendship and sends her to Spike, a baby dragon in Ponyville. There, Twilight Sparkle meets other interesting ponies. Together they solve various problems and learn about the magic of friendship. Ask your child to pick light purple for the body, dark blue for the hair and tail. 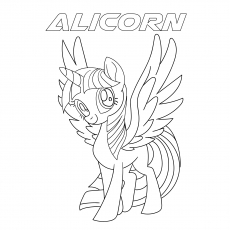 This coloring sheet will also make a great decoration in your child’s room. Twilight Sparkle has an assistant named Spike, a purple colored baby dragon. Twilight Sparkle is not a sociable pony. She prefers reading a book in the library rather than attending a party. 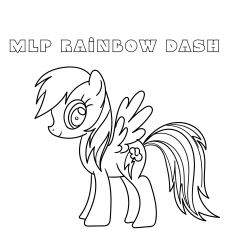 She is a dark orange colored pony with yellow hair and tail. She is always shown wearing a brown Stetson hat. Her spirit represents the element of honesty. 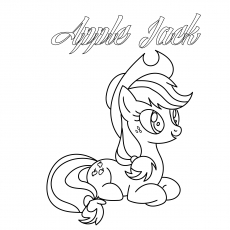 Applejack comes from a large family of ponies who manage farms and apple orchards. 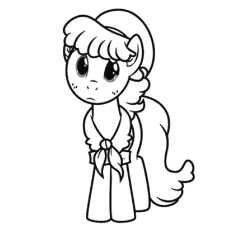 She lives and works at the Sweet Apple Acres with her grandmother, little sister and elder brother. 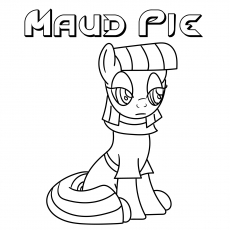 Loyalty is one of her best traits, which is why she has many friends in Ponyville. 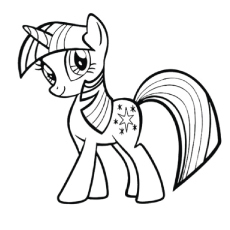 She is an empathetic pony who puts the needs and feelings of others before her own. 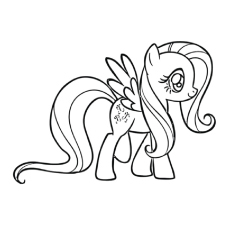 This is Fluttershy, a cute female Pegasus of the Ponyville. She lives in a small village near the Evergreen forest. She represents the element of kindness. 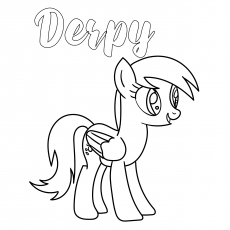 She is a shy and quiet pony who loves spending her time playing with the other animals in the forest. She is a beautiful, yellow colored pony with long, straight pink hair. 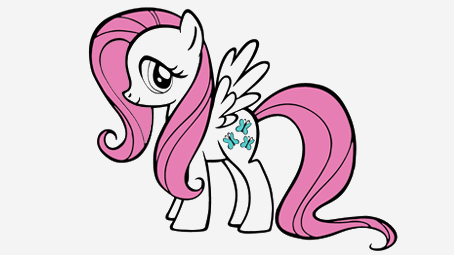 Her cutie mark is three pink and cyan butterflies. She is a very kind pony who loves to make others happy. 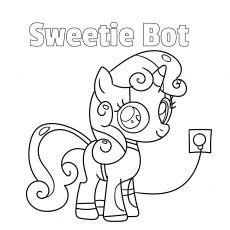 She is the older sister of Sweetie Belle. Rarity represents the element of generosity. 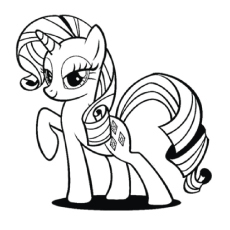 Rarity is a stylish pony and works as a fashion designer at her own shop in Ponyville, the Carousel Boutique. She keeps a Persian cat as her pet. Pink Pie is the female earth pony of this series. 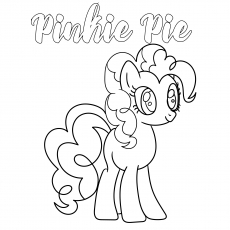 Her full name is Pinkamena Diane Pie. She represents the element of laughter. She is a head to toe pink pony, hence the name. 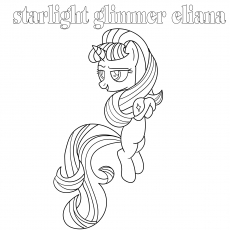 Her body is bright pink in color and mane and tail is of magenta pink. 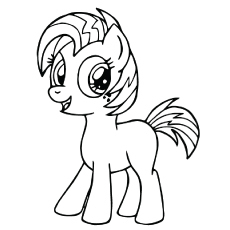 She is a hyperactive, cheerful and talkative pony. She enjoys singing and playing pranks on her friends. 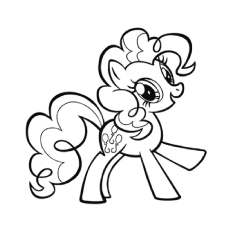 Pinkie Pie works as a baker in Sugarcube Corner and lives on the bakery’s second floor with her granny. 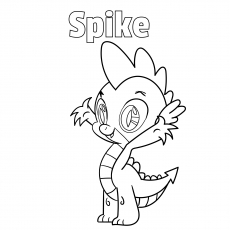 Spike is a purple and green baby dragon of this series. He is Twilight Sparkle’s best friend and an assistant. He is very loyal to his master Twinkle. 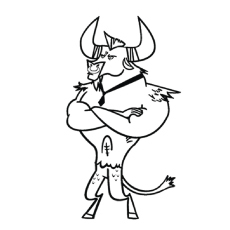 While coloring Spike, ask your child to pick blue for his body, green for the eyes and dark green for the hair. Spike has the ability to deliver the scrolls to and from Princess Celestia with his green fire breath. 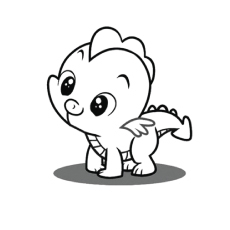 He is a fun loving dragon who loves partying. Spike prefers hanging out with his own ponies than his own kind. Rainbow Dash lives in a cloud house near Ponyville. She is brave and bold, but can also be mischievous at times. She is responsible for maintaining the weather of Ponyville. She has the ability of clearing the sky of clouds. 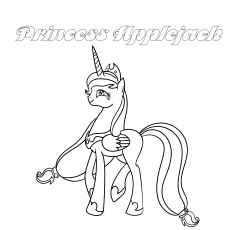 She is the younger sister of Applejack and Big Macintosh. 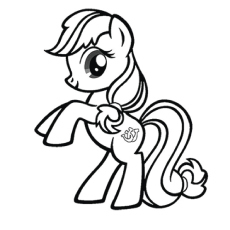 Apple Bloom is a yellow colored pony with fuchsia long hair. 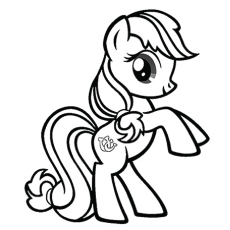 The most recognizable characteristic of Apple Bloom is the pink ribbon that she wears on the rear part of her head. It looks like she has long hair that she ties using a ribbon. The most phenomenal skill of this pony is renovating and contracting the building. She even handles her brother’s renovation project. She is an energetic and tomboyish girl who always complains about having to listen to sappy stories. 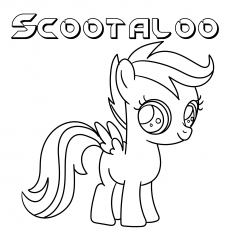 Scootalo, along with her friends Apple Bloom and Sweet Belle form the Cutie Mark Crusader, a club devoted to help ponies earn their cutie marks. 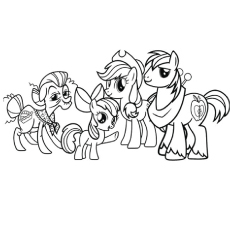 This coloring sheet features the sweet Apple Acre Family. 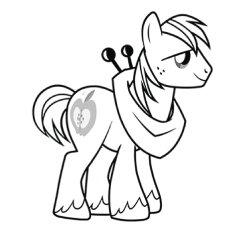 The Sweet Apple Acre is a family farm located near Ponyville. It is the home to Applejack, Apple Bloom, Macintosh and Granny Smith. The property comprises of a farmhouse, a barn and several Apple orchards. Every hundred years, the entire Apple family gathers for a big Apple Family Reunion in the Apple Acre. She has the responsibility of raising the sun of Ponyville. 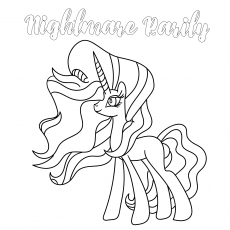 Princess Celestia has a beautiful mane and tail consisting of four different colors – light green, blue, and purple and light purple. 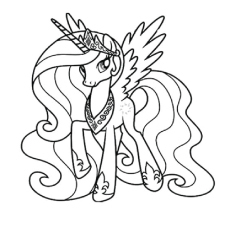 Princess Celestia is also the mentor of Twilight Sparkle and Sunset Shimmer. 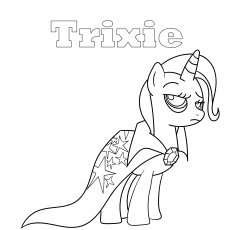 She is the leader of Equestria and the older sister of Princess Luna. Both Princess Luna and Princess Celestia lead and control the Equestrian Kingdom. 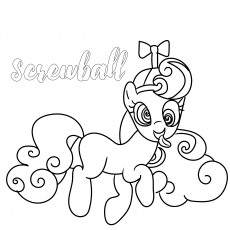 This is Sweetie Belle, a cute pony with a lustrous mane. She performs activities like cooking, singing and writing songs in her spare time. 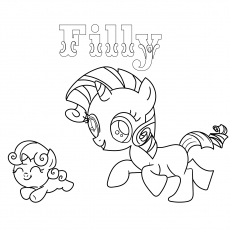 Sweetie belle is close friends with Applebloom and Scootaloo. 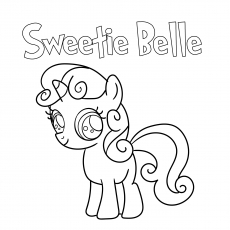 Sweetie Belle is a white colored pony with unique pink and purple hair. Her hair looks like a cotton candy. 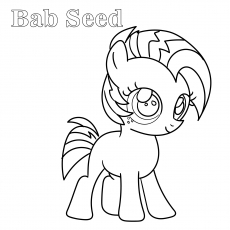 Her name is wordplay on the idiom “bad seed”, which denotes a family member who behaves rudely and brings misfortune to another. Babs is from Manhattan and speaks with a heavy Bronx accent. 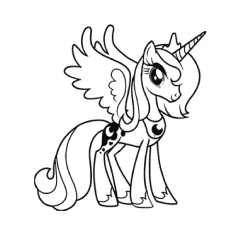 She is one of the many baby ponies without a cutie mark, thereby making her an official member of Cutie Mark Crusader. 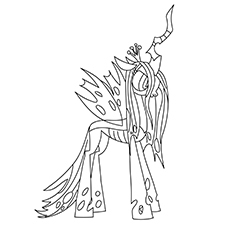 She is the main antagonist of the first two episodes of “My Little Pony Friendship is Magic”. 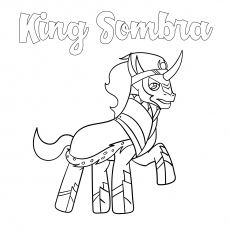 Eventually, the elements of Harmony restores Luna to her former self and she returns to rule over Equestria along with her older sister. 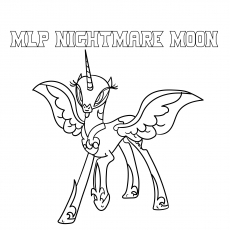 Princess Luna possesses several magical skills like raising the moon, manipulating dreams and transforming into some object. 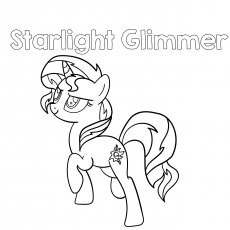 She is Twilight Sparkle’s former foal sitter and sister-in-law. 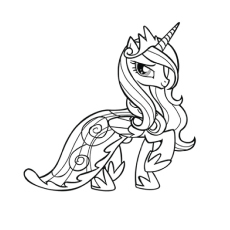 Princess Cadance’s ‘cutie mark’ switches between two different designs throughout the series. 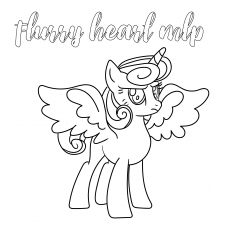 Her cutie mark, a crystal heart is sometimes depicted as a single mirror with a facet at its center and sometimes with multiple facets around its center. 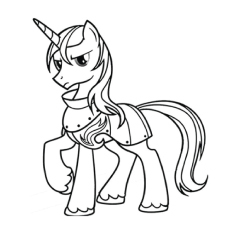 He is the captain of the Canterlot Royal Guard and serves under Princess Celestia. 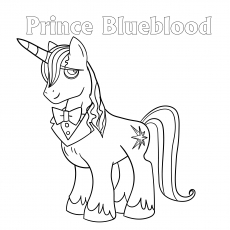 Shining Armor bears the title of a prince because of his marriage to Princess Cadance. As with most of the stallions, his hooves are colored differently than his coat. 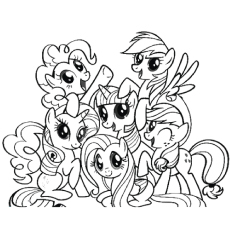 Big Macintosh is the member of the Apple family. His real name is Big Apple, but was changed at the request of Habro’s legal department. 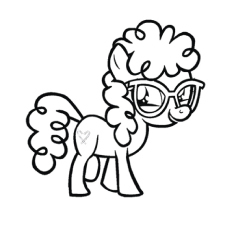 Macintosh is a calm and easy-going pony with a practical sort of wisdom. He is a soft-spoken pony who often replies with a simple “eeyup” or “nnope”. 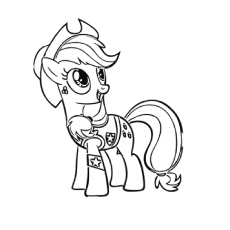 Braeburn is an earth pony from Applelppsa. He is a cousin of Applejack, Big Macintosh and Apple Bloom. He only appears in a few episodes of this series. 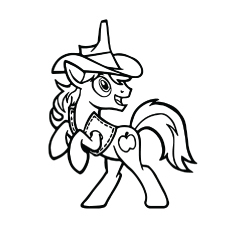 Like most of the Apple family members, Braeburn’s name is also the name of an apple cultivar. 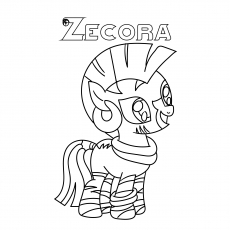 His cutie mark resembles that of the Applejack. Goldie Delicious is relative of the Apple family. 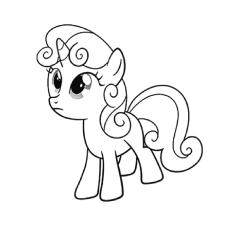 She is a yellow colored pony with curly hair. Golden Delicious is very fond of cats and keeps a huge number of it in her house. She also has a full-grown Cheetah as her companion. She is shown to be a hoarder of assorted items and heirlooms. She has a complete record of the Apple family tree. She is slightly taller than the normal foals in her class. 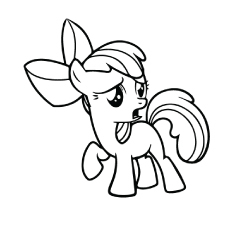 Twist has skinny legs and her nose is more bulbous than most of the other ponies. She has a curly red mane, pale coat and large glasses. 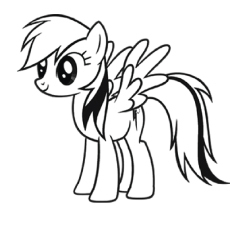 Twist has a cutie mark in the shape of a heart on her flank. 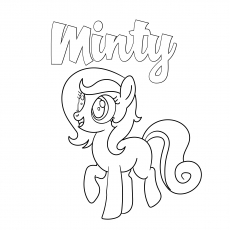 Tell your child to use light blue for her body and green for the mane and hair. 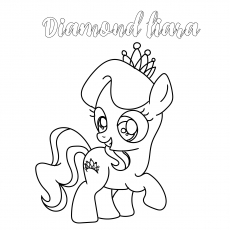 Do not forget to color her tiara. 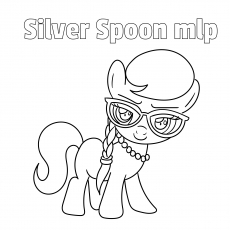 She is also a member of the Cutie Mark Crusader. He acts as a mentor and friend to Fluttershy and advises her on how not to let anyone treat her as a doormat or a pushover. 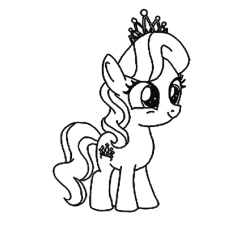 Ms. Peachbottom is a female earth pony of the Ponyville. 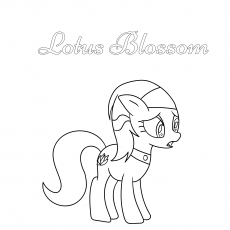 She was once mistaken for the Equestria Games Inspector by Rainbow Dash and her friends due to her luggage having a flower motif. They take her on an in depth tour of the Crystal Empire. 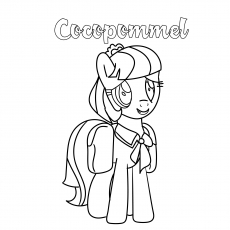 She is an extremely warm and friendly pony and is surprisingly knowledgeable when it comes to architecture. She is commonly featured as a background pony in the show. 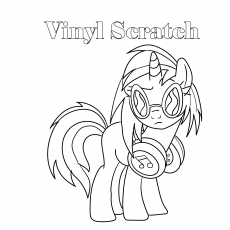 She usually visits the Ponyville’s market place with Golden Harvest or Cherry Berry.